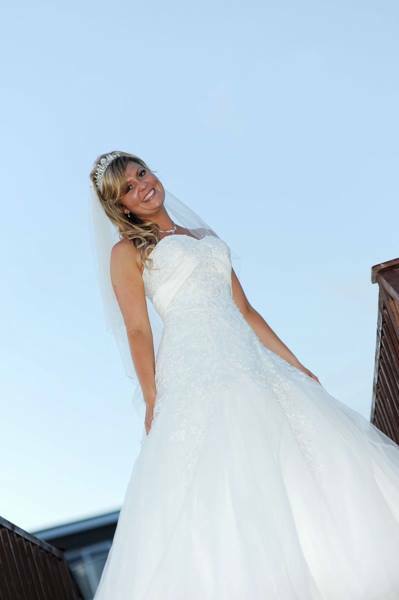 I was very privileged to attend this gorgeous bride Felicity on her wedding day last summer, to help her and her bridesmaids into their lovely outfits. 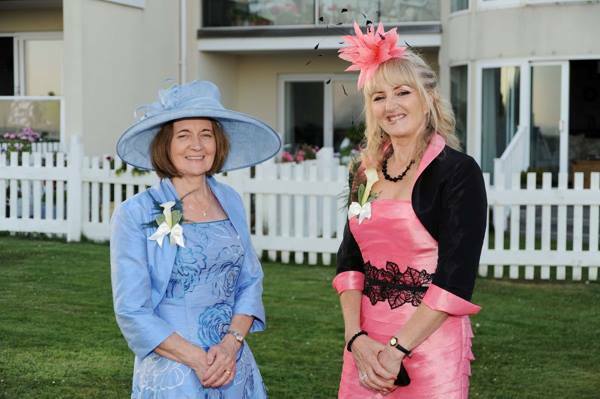 We supplied outfits and accessories for the bride, bridesmaids, groomsmen and both the mother of the bride and the mother of the groom. 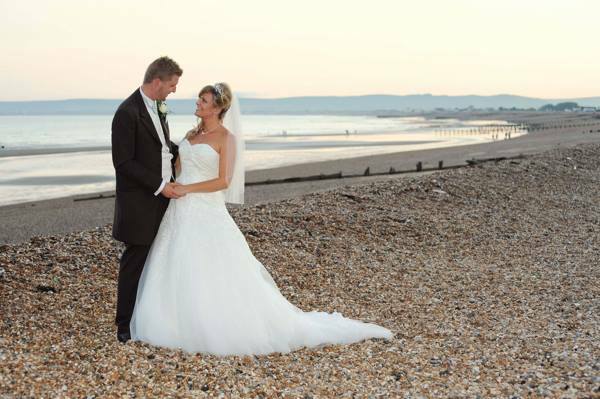 Felicity and Chris were married at All Saints Church in Hastings old town, and had their reception at the Cooden Beach Hotel. 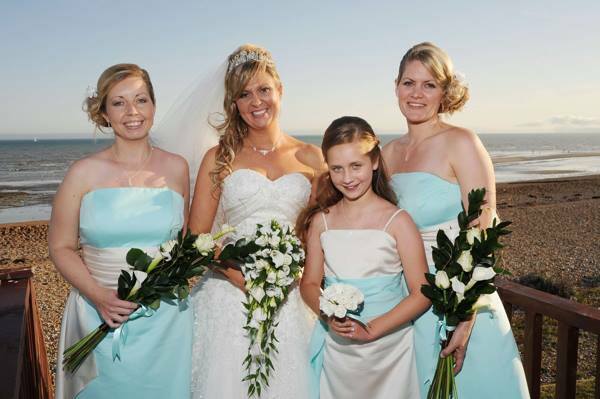 The dress she chose is our style "Sophie" and the bridesmaids wore a combination of minty aqua satin and ivory. 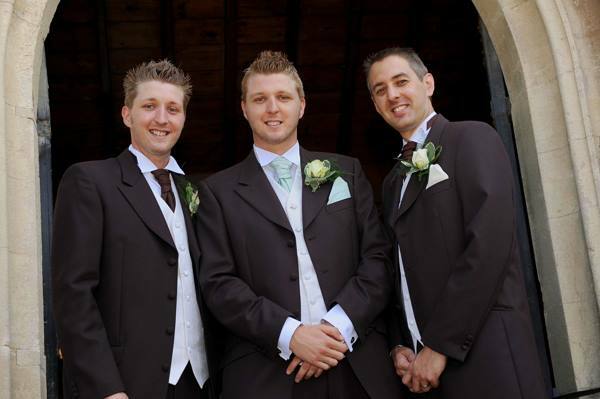 The grooms outfits complimented these with a combination of the bridesmaids colours in their waistcoats and ties. The bridegroom Chris did some modelling for us many years ago, and both Felicity and Chris work at Euro Disney in Paris. What a lovely couple they make, and what a beautiful day it was.